Former MLB player, Eddie Murray, was born on February 24, 1956 in Los Angeles, California. 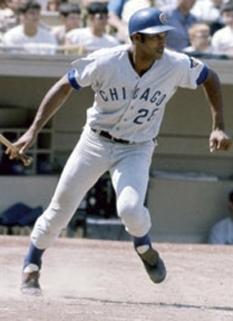 Murray, who played first base, was known as one of the most reliable and productive hitters of his era, earning the nickname "Steady Eddie". 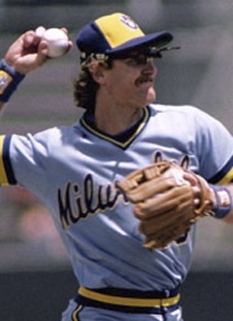 Murray is regarded as one of the best switch hitters ever to play the game. 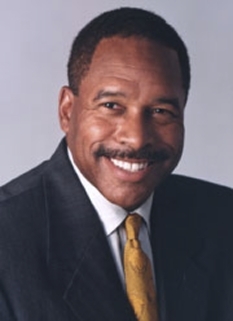 He was elected to the Baseball Hall of Fame in 2003. Eddie Murray was selected by the Baltimore Orioles in the 3rd round of the 1973 amateur draft and had several successful seasons in the minor leagues. He debuted at the major league level on April 7, 1977 and played in 160 games for the Orioles in his first season. He won the American League Rookie of the Year award by batting .283, hitting 27 home runs and contributing 88 RBI. Murray did not suffer the sophomore jinx, instead building on his successes. 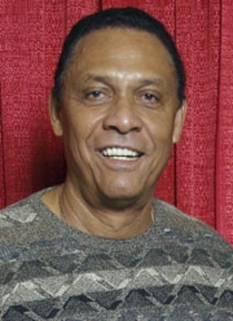 With the Orioles from 1977 until 1988, Murray averaged 28 home runs and 99 RBI and was a perennial candidate for the MVP award, twice finishing second in the voting. His best season was 1983 with the Orioles when he hit .306/.393/.538 with 110 RBI and a career-high 33 home runs; though a spectacular season, he finished second in the MVP voting. The Orioles also appeared in the post-season twice, in 1979 and 1983, and won the World Series in 1983. Murray's close-knit friendship with fellow Oriole Cal Ripken Jr. was highly publicized in Baltimore at the time. Murray electrified home-team fans with his remarkable clutch hitting. Chants of "EDDIE-EDDIE" often reached a deafening crescendo during climactic points in a game. As is true with other extraordinary batters, Murray's likelihood of getting a hit increased when runners were on second or third base and when he had fouled off several pitches during an at-bat. 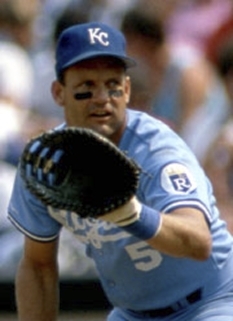 Murray was traded on December 4, 1988 to the Los Angeles Dodgers for Juan Bell, Brian Holton and Ken Howell and had three successful seasons with the Dodgers, knocking in 88, 95 and 96 runs. In 1990, Murray led the Major Leagues in hitting, but failed to win the National League batting crown, when Willie McGee was traded from the National League Saint Louis Cardinals to the American League Oakland A's. McGee won the National League title with a .335 average, but hit only .274 the rest of the season in Oakland. His season average was .324, 6 points lower than Murray's Major League leading .330 average. Prior to the 1992 season, Eddie Murray signed a two-year deal with the New York Mets, for whom he played well despite playing for one of the worst teams in the major leagues. In 1993 he again drove in 100 runs, this time for the final time in his career. 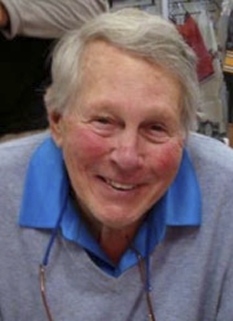 From 1994 to 1997, Murray played for several teams, including the Cleveland Indians (1994-96), the Baltimore Orioles (1996-97), the Anaheim Angels (1997) and the Los Angeles Dodgers (1997). 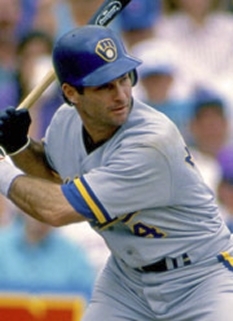 Although he no longer possessed the presence at the plate he had had in the 1980s, he was a valued and still consistent contributor for these teams. On September 6, 1996, he hit his 500th career home run -- fittingly, the home run came as a member of the Orioles, and also came exactly one year to the day that Ripken had broken Lou Gehrig's streak of 2,130 consecutive games played. He retired after the 1997 season with 504 home runs, ranking him second among switch-hitters behind Mickey Mantle's 536. 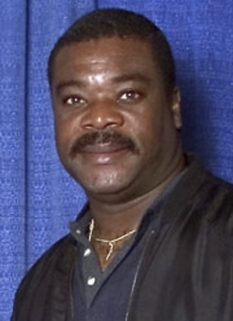 Eddie Murray served as the hitting coach for the Cleveland Indians from 2002 to 2005. He was with the Indians when inducted into the Hall of Fame. On June 14, 2007, Murray was fired as hitting coach for the Los Angeles Dodgers. Ironically, the Dodgers had just come off a 3-game sweep of the New York Mets and had produced 31 hits and 18 runs. Former Dodger player Bill Mueller was named as interim replacement. In 2008, Murray released a charity wine called Eddie Murray 504 Cabernet, a nod to his 504 career home runs, with all of his proceeds donated to the Baltimore Community Foundation. DISCLAIMER: PFP Sports Talent Agency does not claim to represent itself as the exclusive agent for Eddie Murray. PFP Sports Talent Agency is a booking agency that represents organizations seeking to hire pro athletes and sports personalities such as Eddie Murray for speaking engagements, personal appearances, product endorsements and corporate entertainment. Fees on this website are estimates and are intended only as a guideline. Exact fees are determined by a number of factors, including the location of event, the talent’s schedule, requested duties and supply and demand. PFP Sports Talent Agency makes no guarantees to the accuracy of information found on this website and does not warrant that any information or representations contained on this website will be accurate or free from errors. We are often asked how can I find out who is Eddie Murray's agent? To find Eddie Murray appearance fees and booking agent details, you can contact the agent, representative or manager through PFP Sports Talent Agency for speaking fee costs and availability. PFP Sports Talent Agency can help your company choose the ideal sports personality for your next marketing campaign. To hire Eddie Murray for an appearance, speaking event or endorsement, contact Eddie Murray's booking agent for more information.